LA Style Unveiled is an exclusive wedding planning website designed to showcase the best of the best vendors, the most innovative ideas in the wedding industry and the hottest new ideas! 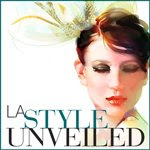 We are so thrilled to have been chosen to be a VIP at LA STYLE UNVEILED! Such an honor! What I love about the website...hmm...well.....absolutely everything! Thanks for stopping by and chatting with us at Stephanie Grace! 1. What is the inspiration behind "Style Unveiled"? Style Unveiled was designed to be a collection of hyperlocal sites that are very high end with a savvy, stylish flair. We felt that the wedding industry needed a site that focused on being local, yet maintained a well thought out and beautiful layout and design. All of our sites have a blog of their own, which hosts local content and local wedding vendors. 2. How do you think Los Angeles' event world differs from other cities, like Seattle, where you already have a presence? I have to say, I'm having the best time running the LA site :) The city has so much life and so much to offer a bride...I find new and amazing wedding professionals to reach out to on a daily basis and it's so educational! And, it goes without saying that the weddings in LA are much bigger in scale ... then of course, there are the celebrities, which Seattle doesn't have as much of :) All kidding aside, I find that the city is booming with talent and I can't wait to uncover the next best thing in LA and share it with all our readers! 3. Who are the people behind "Style Unveiled"? Myself included, we have 3 owners and a team of about 5 specialists helping make sure our site is on top of the latest styles, design, and trends. Our backgrounds range from wedding planning, wedding photography, social networking, and web design. We have a whole team who's main focus is social networking and being fun online community participants and another team who's focus is marketing and design. 4. How do you pick your vendors to be part of LA Style Unveiled? 5. What do you see as the upcoming trends this year for weddings? 6. What should brides be checking out on your website? Anything unique and creative that they should keep their eyes out for? 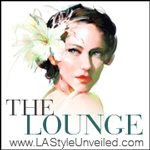 Style Unveiled is a site with so many great options for brides planning their wedding ... Our blog, The Lounge is updated 4- 7 times per week with the latest fashions and ideas for your wedding day - as well as great tips from local LA wedding professionals. Our Real Weddings are exceptional and show off the best from the best in LA photographers. We have an Eco-chic page which lists 101 ways to cut down on your 'carbon stiletto-print' and of course we have the Plan Your Wedding page with all our top notch LA vendors. The whole site is built to be user-friendly and everything is inner-linked, so things are easy to find ... we feel that the last thing a bride needs when planning her wedding (an already daunting task) is a complicated and confusing website. 7. Any advice for brides as they embark on their wedding planning process? The best advice I can give is this: start early, hire a wedding coordinator (even if just for the day), and make sure you hire an exceptional photographer. Your wedding photographs are all you'll have once this day is over and they should be amazing :) This day is about marrying the person you want to spend the rest of your life with and when it all comes down to it, the focus should be your love for each other! Thanks for coming by and talking with us! We are so thrilled to be part of your amazing site! Great interview! Love Heather and the team at Style Unveiled! I am SO honored!!! Thank you, Stephanie ... so amazing to have you on our site!